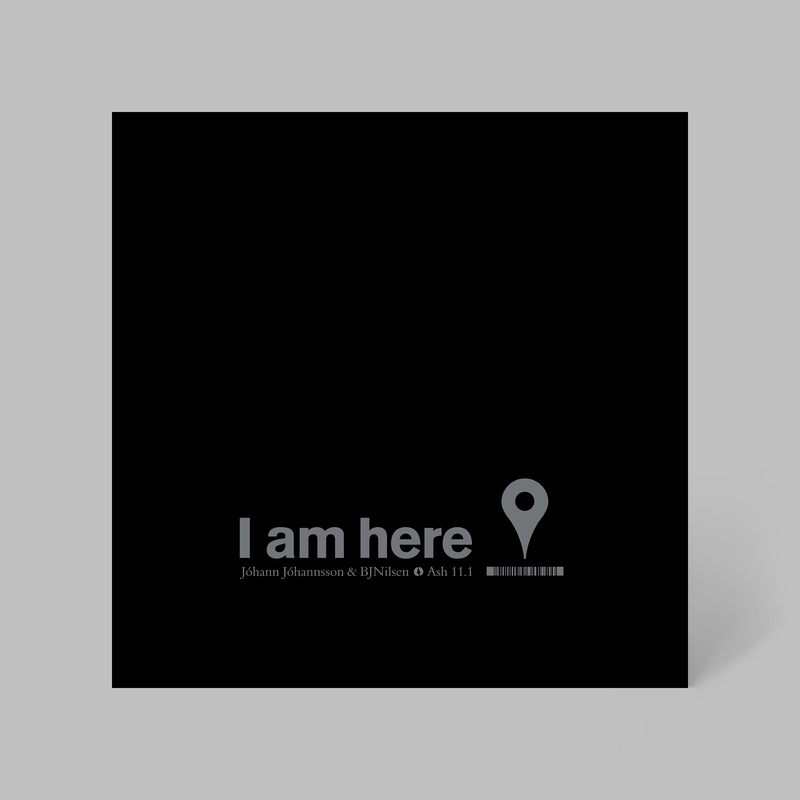 The original score for Anders Morgenthaler’s film ‘I Am Here’ (aka ‘The 11th Hour’) was composed by Jóhann Jóhannsson and BJ Nilsen. 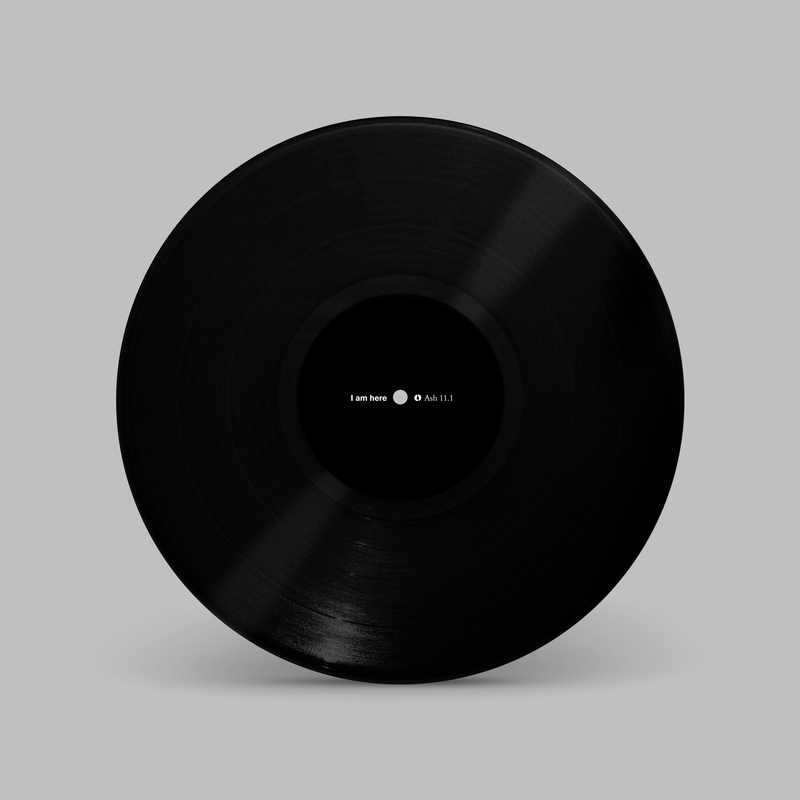 Ash International released the soundtrack on limited edition vinyl. 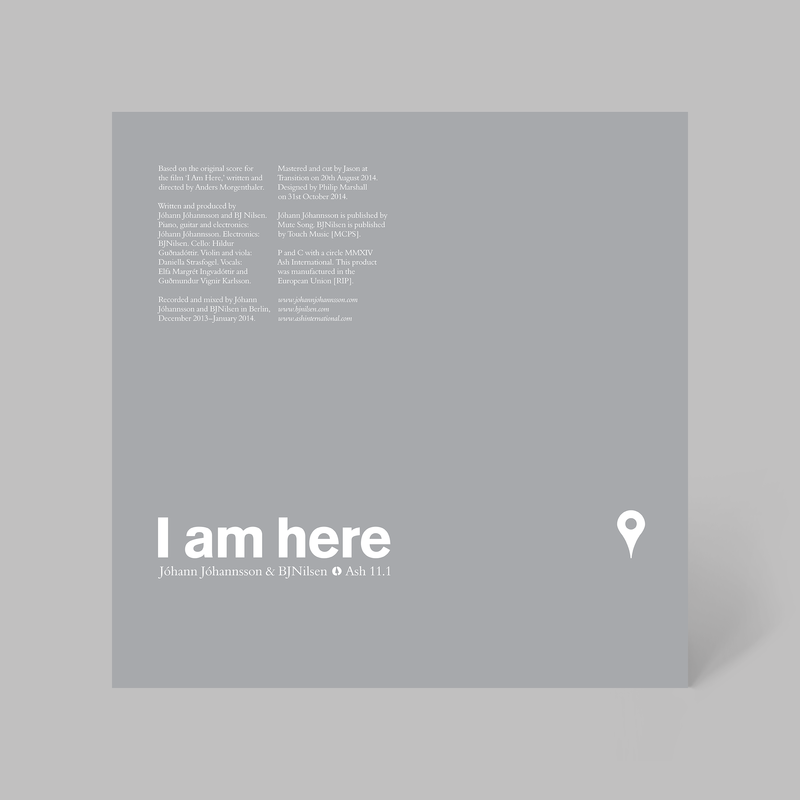 The paper parts of this design are finished in black and silver with a double-hit of gloss – when looking at the front cover, one’s own face is reflected back, a black screen for a black score. A geotag icon is the only graphic element.